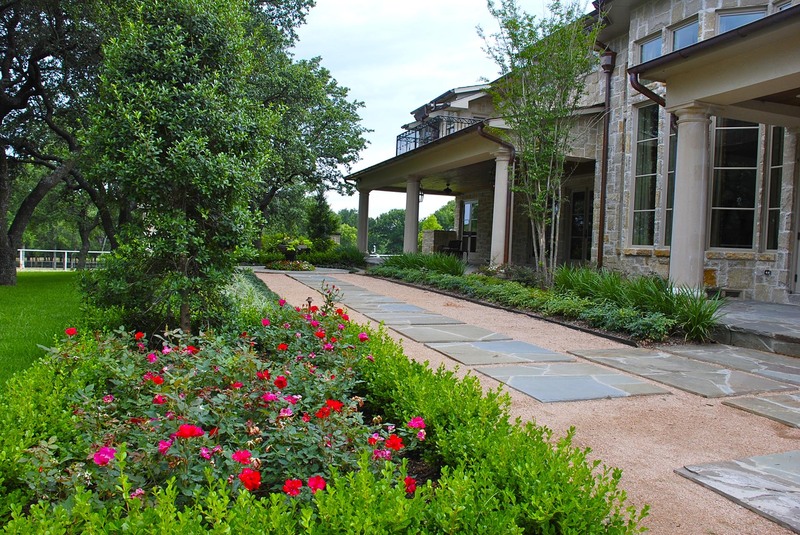 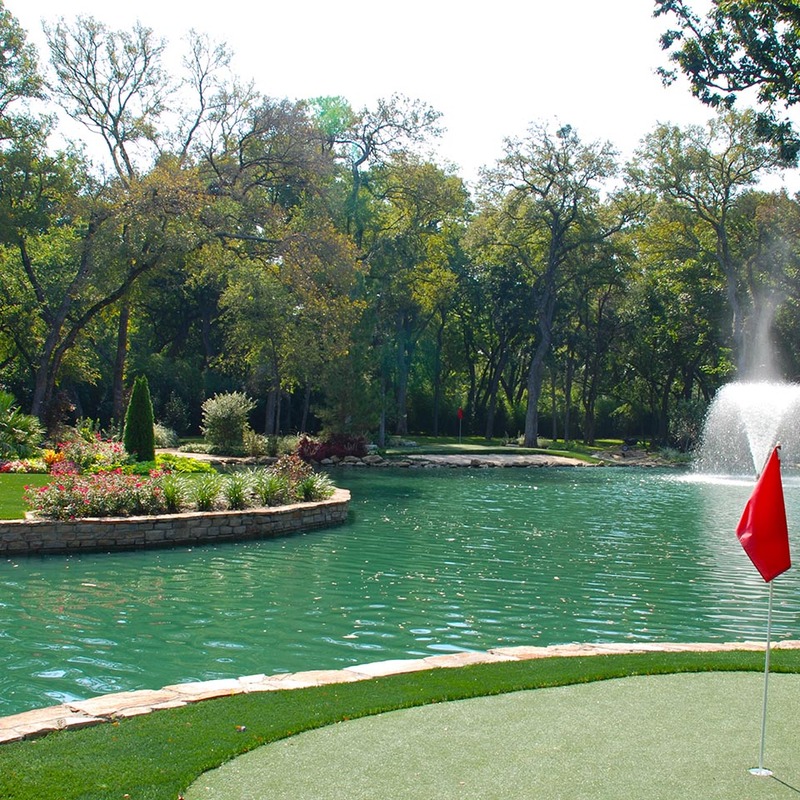 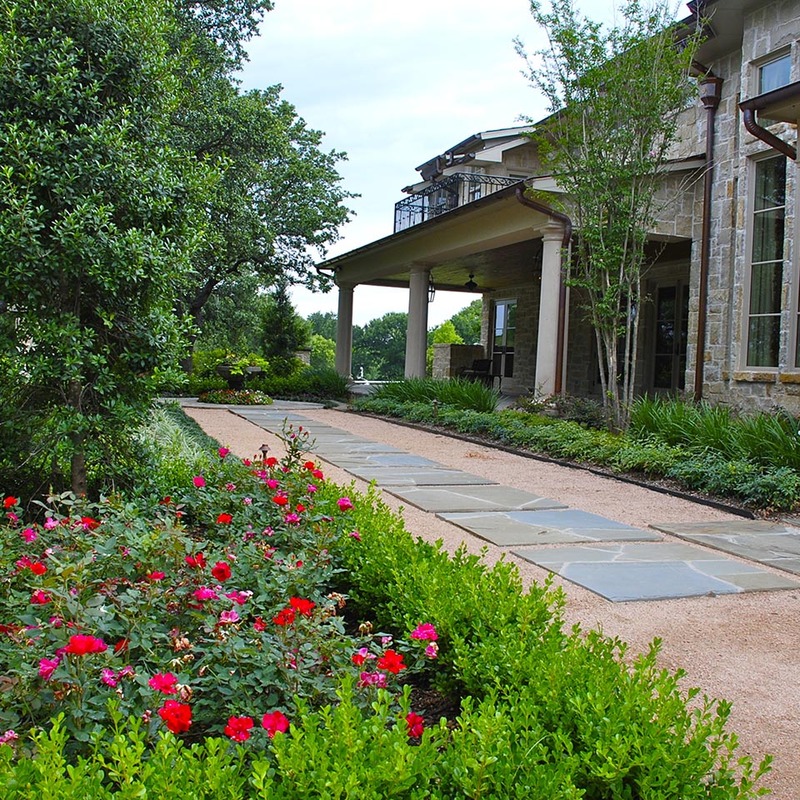 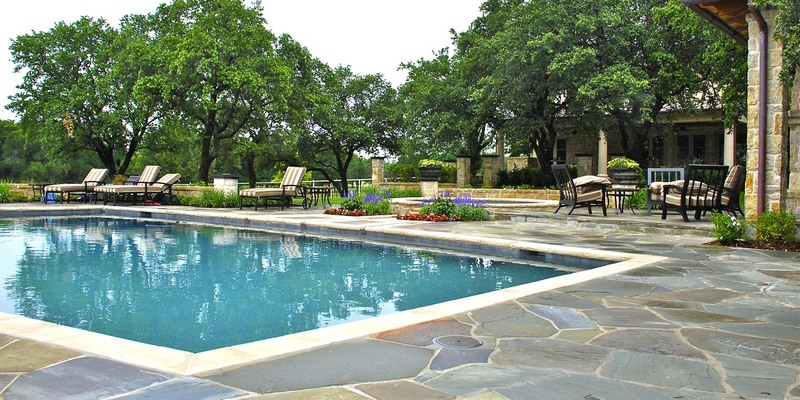 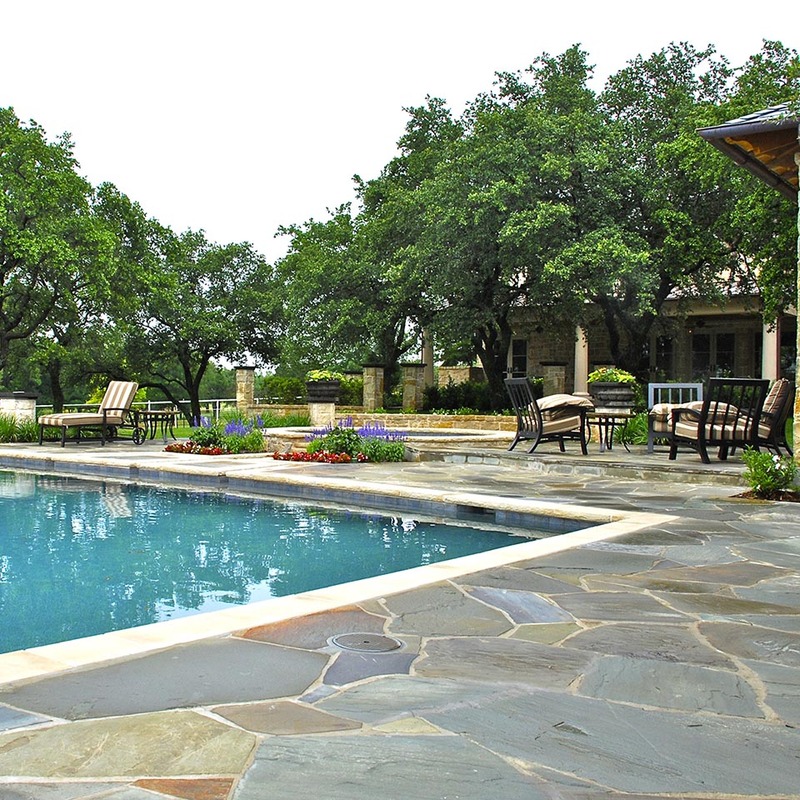 Located in Parker Texas this estate renovation included over 20 acres of destination outdoor activities. 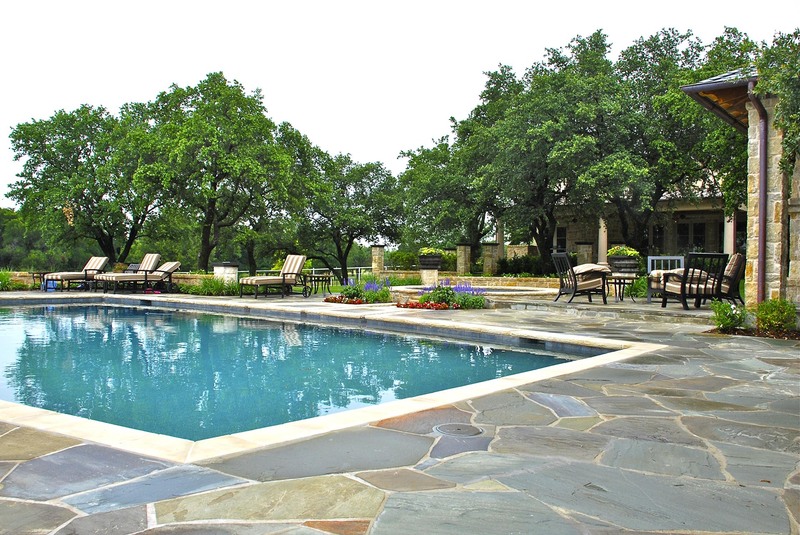 One key area included the renovation of an existing pool with Pennsylvania mixed color stone decks and elongated French country rose garden near the veranda. 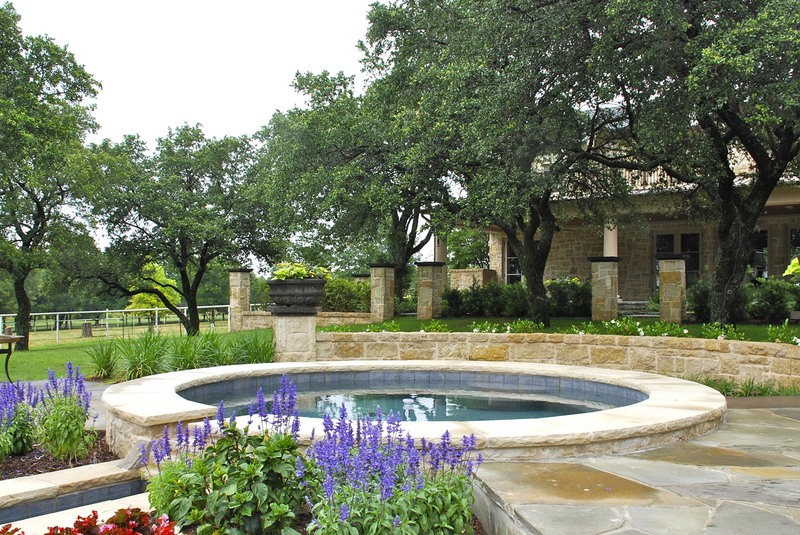 Near the pool we incorporated a new pavilion area featuring an outdoor kitchen, fire place, dining area and raised bar for dining and beverages. 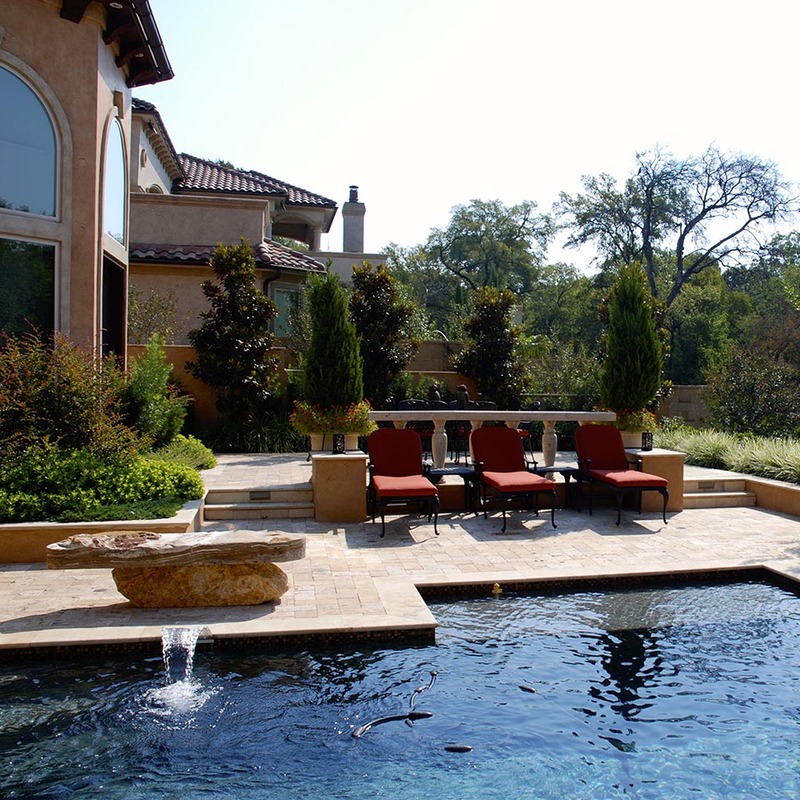 We designed a new pond with an arched bridge to an interior island. 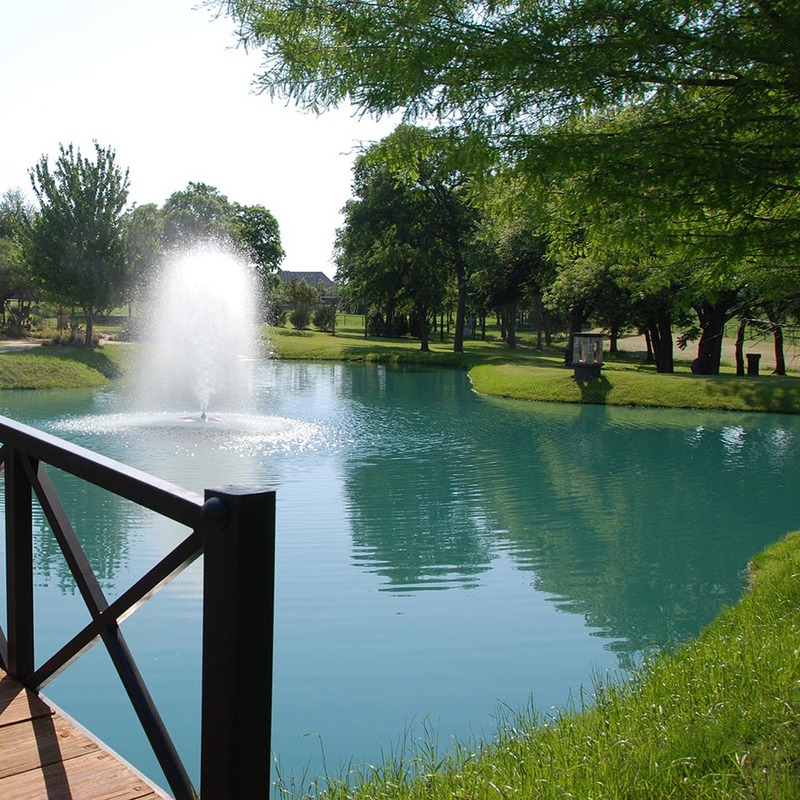 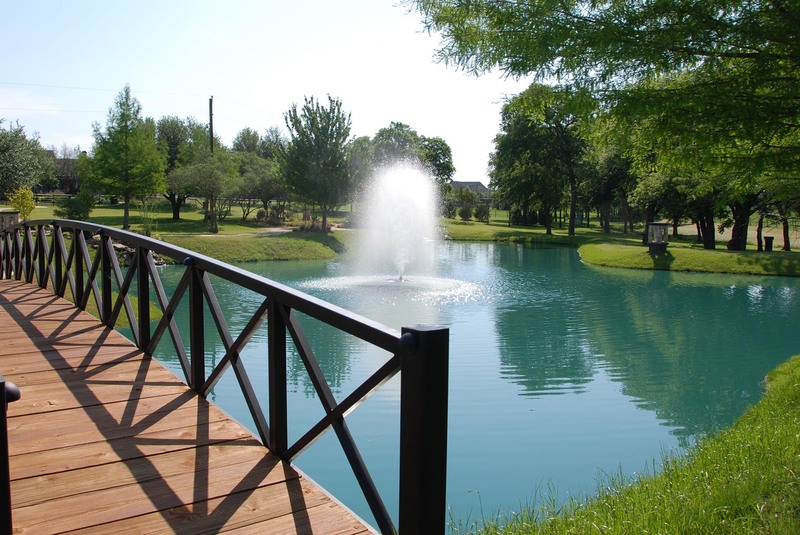 This pond is stocked with bass and the latest technology for healthy pond management. 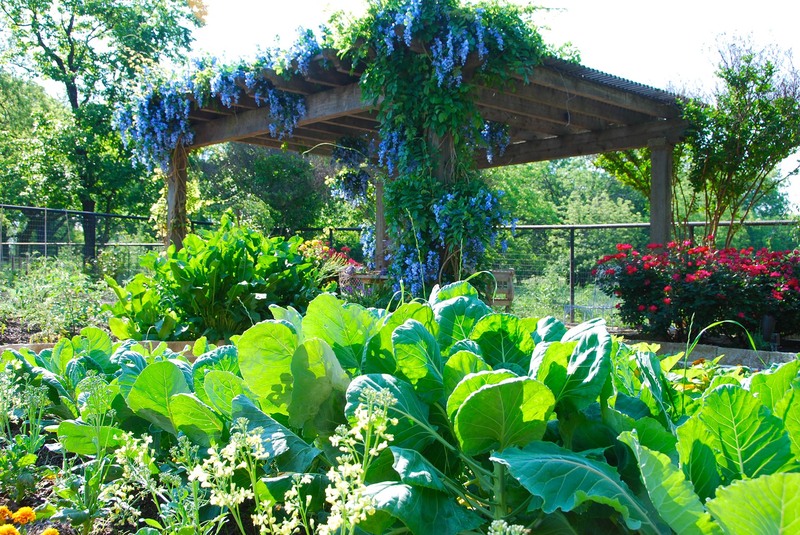 A large formal culinary garden is near a wooded area complete with Arbor and wisteria.